Singaporeans can travel anywhere for food. Friends have made their way to retail lifestyle mall HillV2 a number of times, just for a good dining experience. 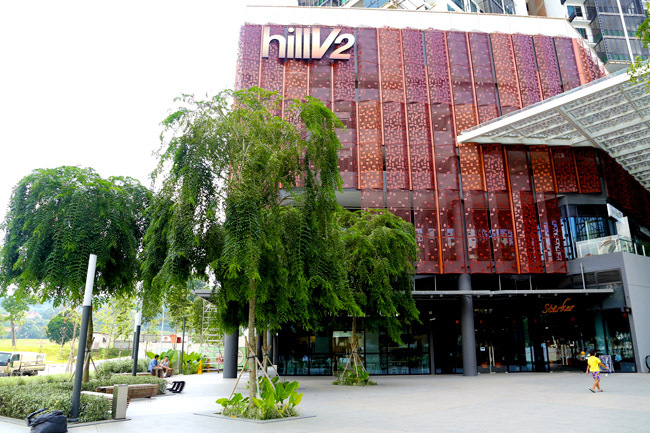 Located in Hillview Rise near Upper Bukit Timah, HillV2 contains a selection of F&B outlets, including the famed DEAN & DELUCA from NYC, Joyden for its Cantonese cuisine, iO Italian Osteria for authentic Italian cuisine, and Wine Connection Bistro for its selection of exclusive wines. 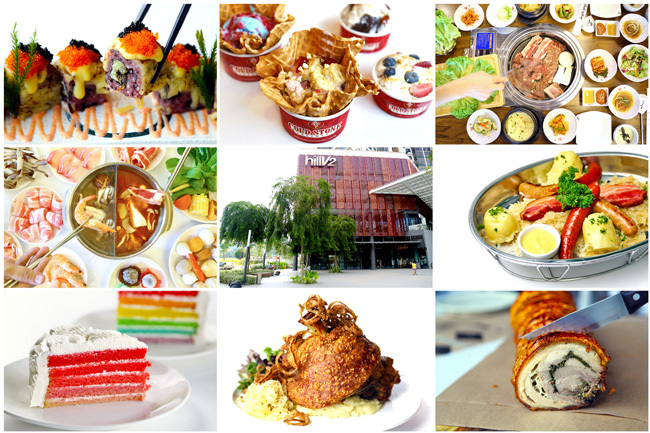 Here are 15 Must-Go Food Places At HillV2, each with a distinct style. 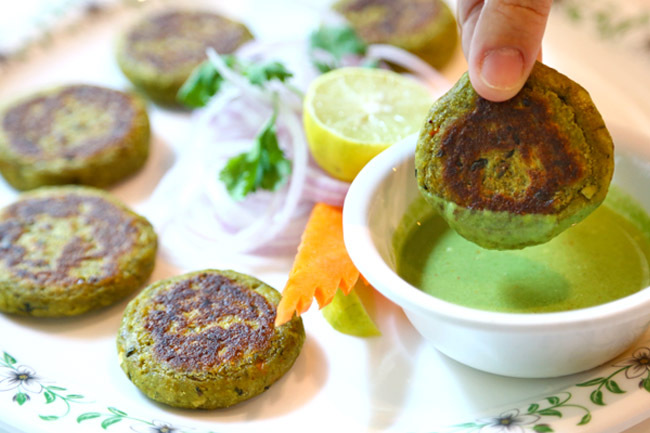 It is about time to plan these into your food diaries and gatherings. The café and gourmet food retail store hailing from New York City has been popular for its brunch items bakes such as Rainbow, Red Velvet and Carrot Cakes. 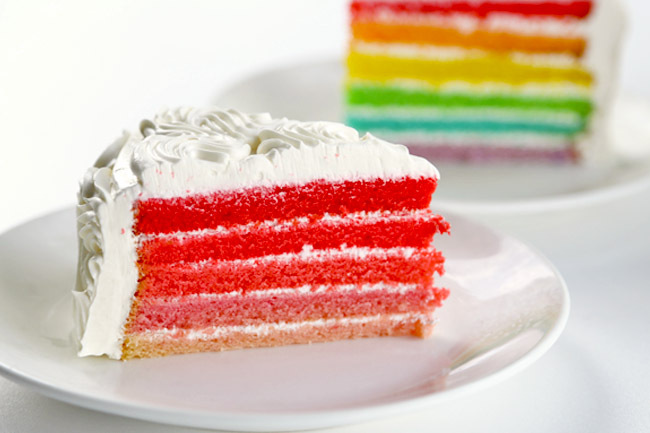 Their new limited cake is also one to look out for, the SG50 Ombre cake, pretty in shades of red and pink. Each layer is a different flavor of raspberry, rose, grapefruit, sakura and pink peach. I would actually suggest eating layer by layer, my favourite being the alluring rose. 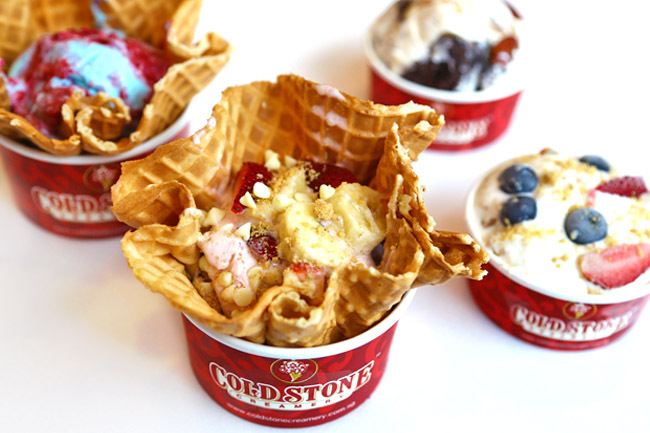 For those unfamiliar with Cold Stone Creamery, it started way back in 1988 at Tempe Arizona, and has more than 1,400 stores operating worldwide. Their ice cream is made fresh daily, thus ensuring a premium quality. The ice cream will be blended on a frozen granite stone, and you can mix-in various combinations of fruits, nuts, candy, cookies, brownies and peanut butter. For the tried and tested, go for the Founder’s Favourite, or Strawberry Banana Rendezvous – strawberry ice cream mixed with graham cracker pie crust, white chocolate chips, strawberries and bananas. Do you know that Starker means ‘stronger’? 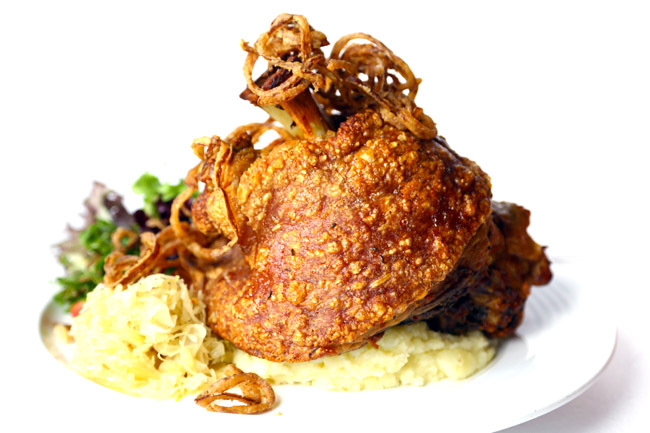 Other than German-style fresh beer, customers can look forward to hearty big-portioned eats such as Pork Knuckles (made from pork hock marinated for 24 hours! ), Baby Back Ribs, and Braised Lamb Shank. Oh, the crispy crackling of the skin of the knuckles matched with the juicy flesh. What took me so long to discover Dagiya Gogiya? 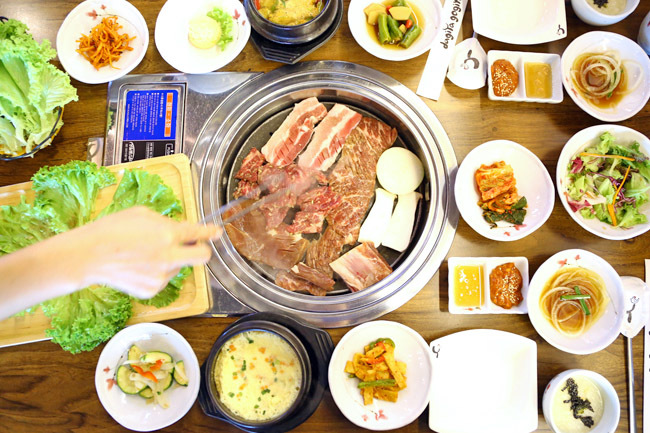 This is an under-the-radar Korean restaurant which serves fresh, well-marinated meats for its BBQ. We ordered a $69 set for 2-3 pax, which included prime beef short rib, marinated pork rib, sliced pork belly and marinated beef. Couldn’t stop having the juicy, mouth-watering beef slices. Mashisoyo! Pick your style of burrito, bowl or taco, then choose your base, choose your beans, choose your fillings. 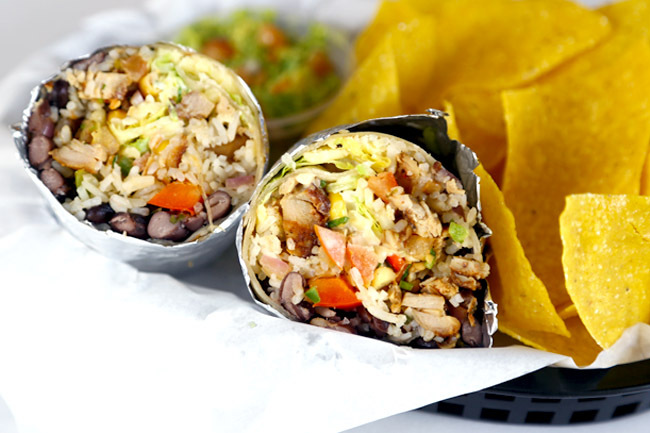 Burrito Boys offer Mexican style food in a fast food concept. Try the Soft Flour Tortilla stuffed with Grilled Chicken ($9.50) or Grilled Steak ($11). Do not miss adding the freshly made handmade blend of guacamole at $2 extra. 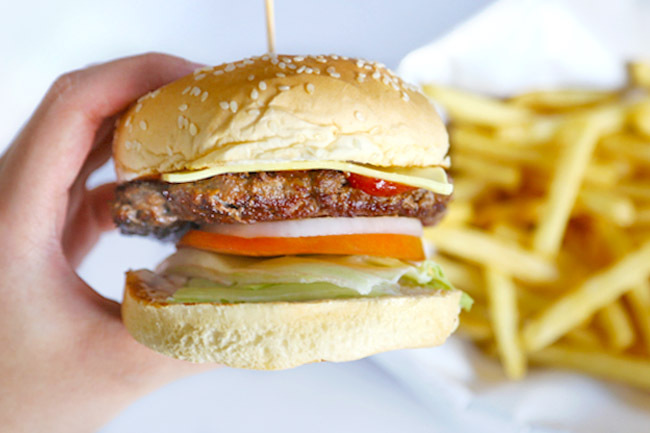 Burgerup is the first and only premium burger restaurant chain created in Singapore! #SupportLocal! Prices are affordable, a Classix (it is spelt like that yah?) Beef with French Fries or Colelaw is at $6.90. While I thought the burger bun could be softer, the beef patty was moist and flavoursome. The fries are legit too. 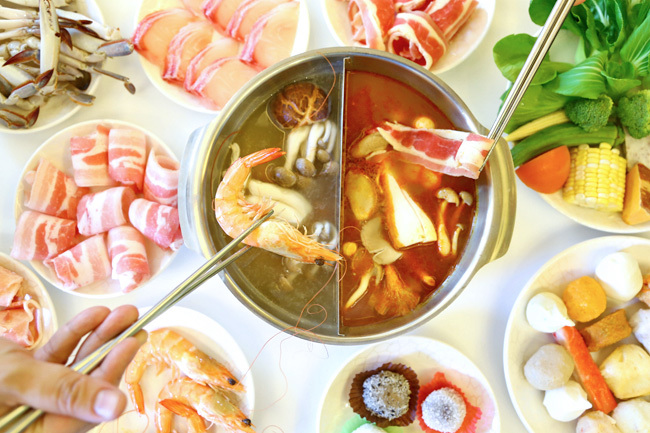 Oh, a Taiwanese style steamboat restaurant. That’s interesting – not commonly found in Singapore. There are 6 different soup bases which include the Signature Original, Korean Kimchi, German Sauerkraut, Italian Tomato, Vegetarian Herbal and Indian Curry (serious). The soups are cooked using pork knuckles, big bones, chicken, vegetables and other herbs, with no added MSG. Prices for adult are $22.80(weekday lunch), $24.80 (weekend lunch), $27.80 (weekday dinner) and $29.80 (weekend dinner). Nunuiwangja (pronounced as Nun-ee-wang-ja in Korean) also known as “Snow Prince”, is a Korean bingsu cafe. The Premium Bingsus ($14.90) sounded more interesting to us – Mango Cheese, Honey Grape and Tangerine, using tropical fruits which were uncommon in other bingsu cafes. 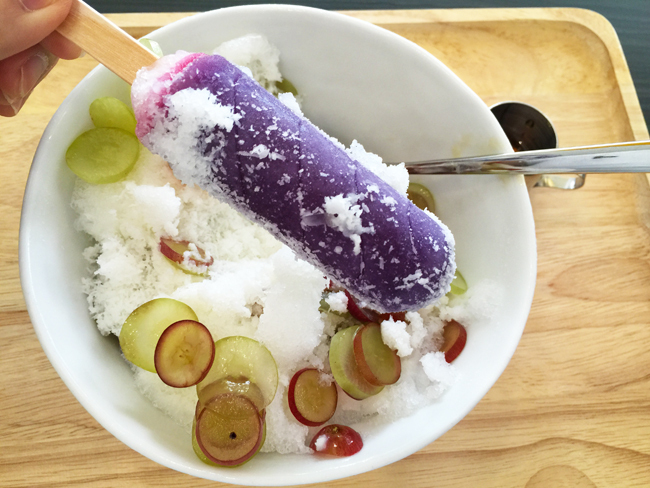 Instead of the usual milk to enhance the sweetness of the bingsu, honey was used for a more layered taste. IO Italian Osteria is one of those restaurants that I take an immediate liking upon walking in. It feels like an Italian countryside home (or tavern) with an open kitchen, ceiling-to-floor windows and wooden furniture. This is where you can get authentic Italian from 20 different Italian regions, with many sauces and dishes prepared from scratch. 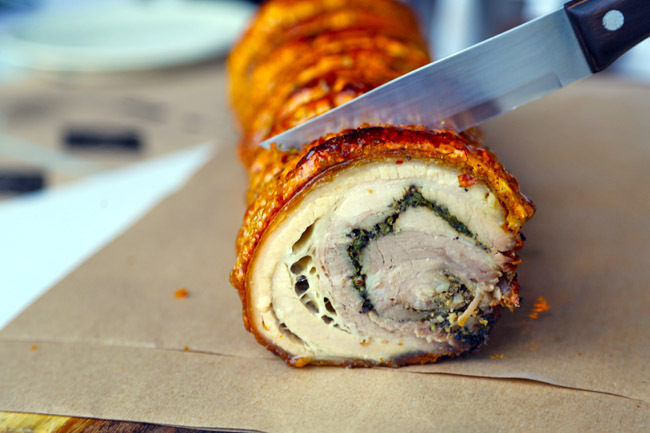 The Porchetta ($12 a slice) of baked pork belly and fennel is moist and savoury. Mama Mia! Kinsa Sushi’s goal is to offer quality Japanese cuisine (with some dishes usually found at higher end restaurants) at affordable price-points. 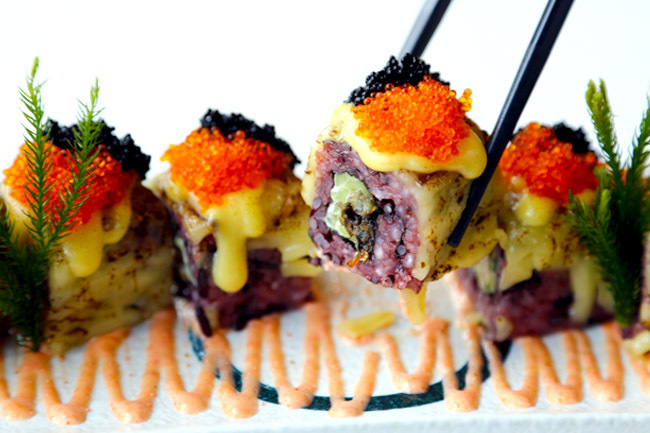 Their latest menu will be a hit with instagrammers with their take of purple rice in sushi. Yes, purple. We enjoyed the colourful renditions of Salmon Mentai Sushi Roll ($15.80), Hotate Mentai ($17.80) and ‘Black Beauty’ ($16.80) – that is deep fried shishamo wrapped maki in aburi cheese and miso, topped with tobiko. Curry Gardenn (no typo, it has double n) aims to present the true taste of Indian, added with no MSG, no coconut and preservatives in their dishes. Some of their recommendations include Fish Head Curry ($28), Chicken Do Aba ($16) two flavoured chicken with cheese toppings, and Hera Bharaa Kebab ($10) – minced vegetables deep fried. A casual dining restaurant which specializes in Padang cuisine – various dishes such as Ox Tail Soup, Beef Rendang, Chicken Kalio, Petai Prawn Sambal and Petai Lodeh with rice. The owner who comes from Sumatra prides her dishes as being authentic, freshly made, with no pre-mixes used. “Everything is made from scratch”. 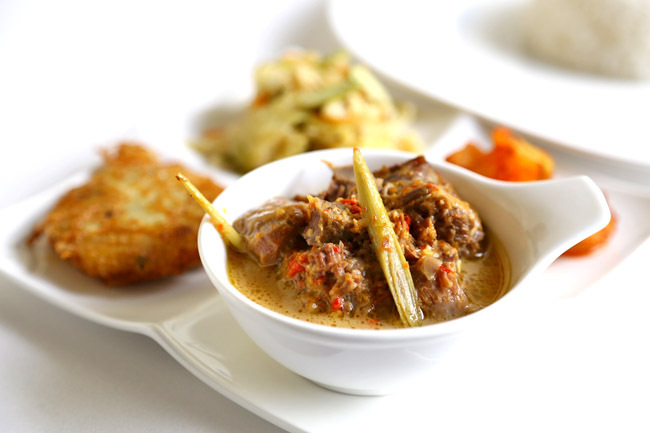 A set which provides choice of Beef Rendang, Chicken Kalio or Fish Samba, with vegetable, bergede, petai potatoes sambal and drink is at $12.90. Established in Bangkok, Wine Connection boosts of a wide selection of wines imported directly from vineyards around the world, including exclusive ones. This bistro at HillV2 serves up a classic Western menu, with many dishes available for sharing. 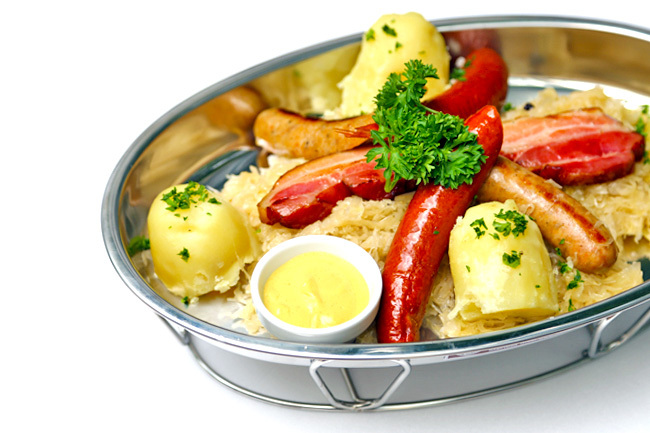 Go for the Choucroute Garnie, a French Sauerkraut dish served with smoked beef sausage, farm house pork sausage, smoked pork belly and potatoes. For fans of Aston’s, the brand has opened a fried chicken fast-food style shop Chic-a-boo at HillV2. 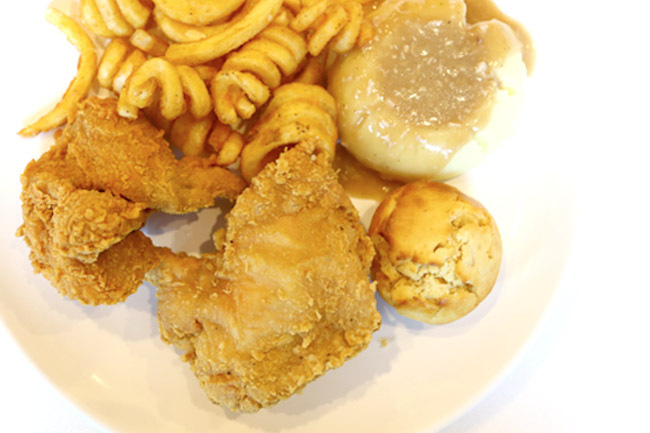 A set a $7.90 will include 2 pieces of crispy deep fried chicken, 2 sides dishes (get the curly fries), 1 corn muffin and regular soft drink. 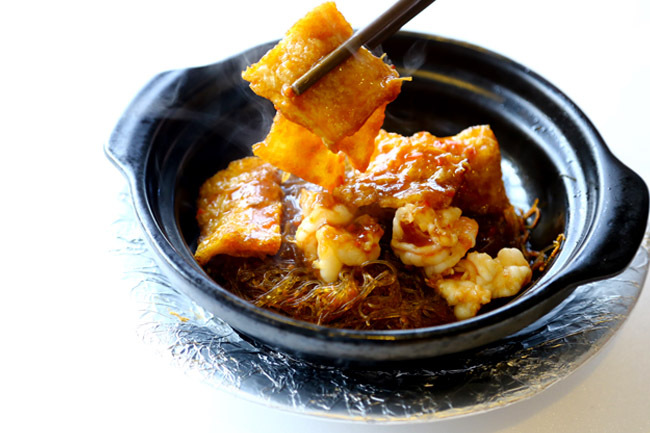 This is one Chinese restaurant that enjoys long queues every weekend, packed with families who go for their comforting appetizing Cantonese cuisine. Other than the Signature Soy Sauce Chicken ($12/$18/$32), my other favourite dish is the Fish Maw and Prawns with Glass Noodles in Homemade XO Sauce ($18.80), flavoursome, packed with fresh ingredients and complete with wok hei. Please enjoy this piping hot. * This entry is brought to you in partnership with HillV2.